How do you tell the difference between a good log analyzer and a great one? Good log analyzers create "multilevel" and cross-linked reports. But only the best log analyzers give you the full freedom of exploring the data. Web Log Explorer is one of the best and fastest. This program creates dynamic reports on-the-fly. It allows you to dig as deep into your data as you need to. Explore your site, proxy or other logs without any limits! The Web Log Explorer supports more than 40 log file formats. It was tested with all popular web servers, media services, proxy servers, firewalls etc. Log Analytics Sense provides the fastest an interactive, desktop-based log analysis, you can generate and upload to the server highly detailed, easily configurable usage reports in HTML format, you can export data from raw log files to your database, uses ODBC and other. Log Analytics Sense provides extensive log viewing and processing features to get the best possible insight into your network activity. The Proxy Log Explorer is a log analyzer software that processes raw proxy log files. Proxy Log Explorer the fastest and most powerful analysis application for monitoring the efficiency corporate Internet usage of your Proxy server. Proxy Log Explorer creates dynamic reports on-the-fly. The flexible system of filters provides an ability to carry out deep analysis of the users' activity. 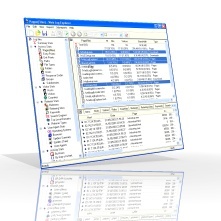 Proxy Log Explorer supports more than 10 proxy log file formats. Needless to say, it can recognize log file formats automatically. The WMS Log Analyzer log analysis application for your Media servers (Microsoft Windows Media Services, Adobe Flash Media Server, Wowza media server and other such servers). 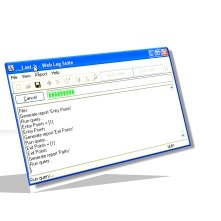 Unlike other log analyzers, WMS Log Analyzer has been designed especially for analyzing Windows Media Services etc. log files and supports the entire set of Windows Media Services log file data and provides the best and most complete analysis of these files. With WMS Log Analyzer, you can get all kind of statistics concerning loaded files, visitors, clip playing time, visitors' countries, etc. The Web Log Suite is a GUI/command line powerful web log analyzer. It produces highly detailed, easily configurable usage reports in HTML format, for viewing with a standard web browser. It will give you information about your site's visitors, activity statistics, file access statistics, information about referring pages, search engines, errors, visitor country, referring sites, you will get complete information about search words and phrases and more. The WMS Log Storage is a feature rich log analyzer for Windows Media Services and other such servers. 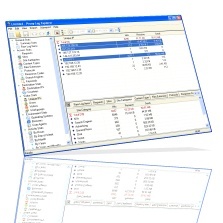 The program generates HTML-based reports with tables and charts. 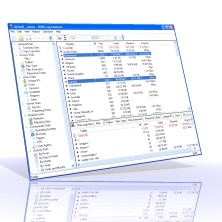 Highly detailed and easily configurable reports output to screen, file directories, ftp or e-mail. Unlike other analyzers, WMS Log Storage has been designed especially for analyzing Windows Media Services log files and supports the entire set of Windows Media Services log file data and provides the best and most complete analysis of these files. The Web Log DB exports web log data to databases via ODBC. Web Log DB uses ODBC to perform database inserts data using SQL queries. Web Log DB allows you to use the applications you have become accustomed to such as MS SQL, MS Excel, MS Access etc. Also, any other ODBC compliant application can now be used to produce the output you desire. Use Web Log DB to perform further analysis and special softs. Web Log DB analyze most popular log file formats MS IIS logfile format, Apache logfile format etc.